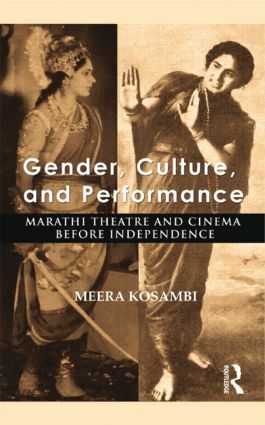 This book presents a lucid, comprehensive, and entertaining narrative of culture and society in late 19th- and early 20th-century Maharashtra through a perceptive study of its theatre and cinema. An intellectual tour de force, it will be invaluable to scholars and researchers of modern Indian history, theatre and film studies, cultural studies, sociology, gender studies as well as the interested general reader. Meera Kosambi is a sociologist and wasformerly Professor and Director of the Research Centre for Women’s Studies at the Shreemati Nathibai Damodar Thackersey (S.N.D.T.) Women’s University, Mumbai, Maharashtra.